After reading the story of the raging water wiping out the bridge by the Feed Mill I may have some news. No names, but they mentioned that the Italian men killed were wearing sandals. 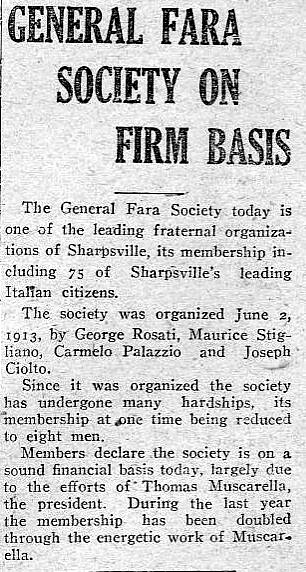 As I mentioned most Italians from Sharpsville come from a group of towns in Lazio region known as Ciociaria. It was an area of farming and sheep herders that wore a strange type of sandal shoe and it sounds like these victims may have been wearing them. I also have a photo of my Grandmother’s funeral in 1937 with my family and other Italians around the casket as you stated. I was thinking of putting it on but, because today this is a bit of a shock, have not. The Italian Home in Sharpsville also had the uniforms that were worn in the area of the towns I listed and the children wore them in special events at the club. There is also a statue of St. Olivia in St. Barthlomew Church that was brought here across the ocean from Castro Dei Volsci many, many years ago. I began to ready for a trip in Italy where my family came from in 2006 by contacting a man in the town of Pofi. Little did I know that the email would lead to more knowledge on Italians in Sharpsville than I ever dreamed. I found that even though there were Italians here from others places in Italy, the overwhelming number come from the bordering towns of Pofi, Castro Dei Volsci, Ceccano, Ceprano and Felvaterra, Italy. These towns are south of Rome. When I went into the Comune in Pofi to look at records, I was told to look for a book on the wall that may be family records of Sharpsville people which had surnames on outside of the book. When the man came back about 20 minutes later and asked if I found one, he was stunned when my reply was every single book was a Sharpsville surname! When I asked his, he replied Campoli !!! If anybody needs help in finding their roots in these towns I can help and would be glad to. Gary, It’s exciting to make those discoveries! I have done so with both sides of my family. I continue to find bits of information about my mother’s Kentucky family through my work on “Pine Mountain Settlement School Collections,” a website that I have been co-editing for many years. And my brothers and I have visited Romania to meet with long-lost relatives on my father’s side. 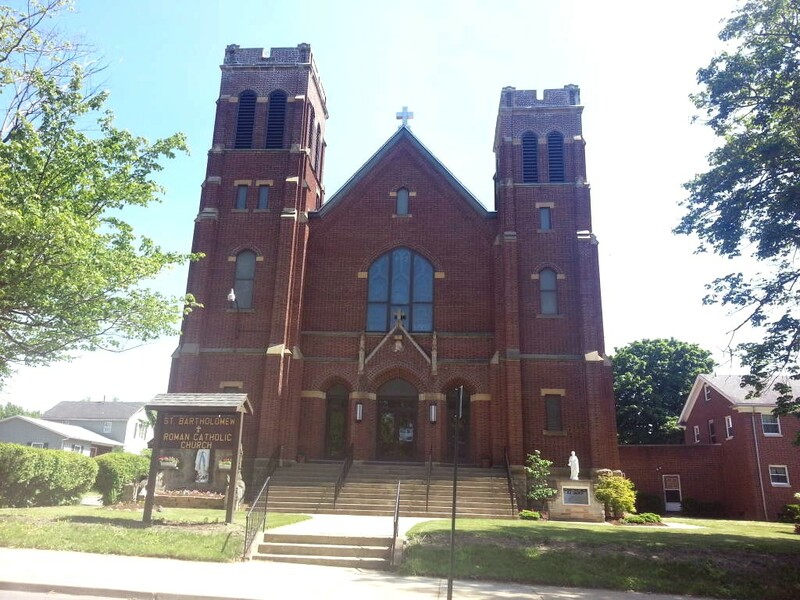 Thanks for your offer to help with the genealogy of Sharpsville’s Italian-Americans! Searching for family roots is like going on a treasure hunt. It is exciting. Thanks for writing this. The part of the bridge falling was something I never heard. I would love to find those names.